Built in 2013, by Nichols Brothers Boatbuilders of Freeland, Washington (hull #173) as the Robert Franco for Harley Marine Services Incorporated of Seattle, Washington. Powered by two, Tier III compliant, Caterpillar 3516C diesel engines. With Rolls Royce US 255 FP z drives, at a 6.42:1 ratio. Outfitted with two, four bladed 2,800(mm), fixed pitch, NiAl-bronze propellers. For a rated 6,850 horsepower. Her electrical service is provided by two, Caterpillar C6.6 generator sets. The tug's capacities are 70,870 gallons of fuel, 11,170 gallons of water, and 1,288 gallons of lube oil. 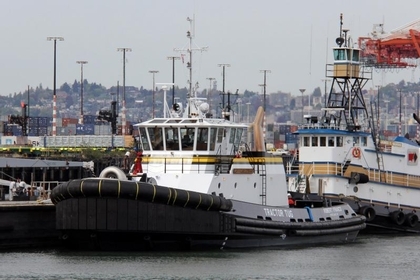 The towing gear consists of a Markey, ship assist, hawser winch, mounted on her bow. And, a Markey towing winch mounted on her stern. Outfitted with 2,600(ft) of 2.25(in) towing wire.